The vehicles will be mapping the streets of Hounslow and are expected to be autonomous by Christmas 2018. During the trials, Nominet and AXA XL will be testing data transfer, making this the most all-encompassing autonomous vehicles trial to date. The DRIVEN consortium, led by Oxbotica, the autonomous vehicle software provider, has announced that it will commence trials on London’s roads this month following successful ongoing trials in Oxford. The trials will start with mapping the streets of Hounslow, selected for being an outer London Borough and its role as a key link between Oxford and London. The data gathered during these trials will provide vital information to support the consortium’s plans to run a fleet of autonomous vehicles between Oxford and London in 2019. In the lead up to this, London trials will continue until Summer 2019. The mapping process means Oxbotica will be gathering data to help understand the contents of street signs, and the meanings of lane markings on the road to enable vehicles to be as knowledgeable as a local resident about the complexities of each street. This process will be repeated many times, and at different times, improving the understanding of how the streets change in different lighting conditions, weather and seasons of the year. 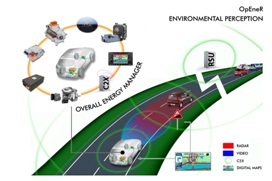 To conduct the mapping, the vehicles are fitted with a wide variety of technology including Oxbotica’s Selenium autonomy software, radar, lidar sensors, on board computers, and cameras. As with all trials undertaken by DRIVEN, there will always be a fully qualified safety driver behind the steering wheel. They sit alongside an engineer monitoring the vehicle’s functions in the car. This marks a major project milestone for the DRIVEN consortium, an Innovate UK-backed research project formed of the Oxford Robotics Institute, AXA XL, Nominet, Telefonica, TRL, the UK Atomic Energy Authority’s robotics centre RACE, Oxfordshire County Council (OCC), Westbourne Communications and Transport for London (TfL). Benefiting from an £8.6 million grant awarded by Innovate UK, it is an ambitious project that is looking beyond what makes one car autonomous, instead exploring what more could be done with an entire fleet. Oxbotica has been engaging with OCC and TfL to discuss roads for trials, liaising with emergency services, and informing local stakeholders such as the London Borough of Hounslow. Building on the success of DRIVEN’s autonomous trials that have been underway for several months on the streets of Oxford, the trials in London will happen simultaneously to those already taking place in Oxford city centre. As Oxbotica’s insurance partner and the only insurance company involved in DRIVEN, AXA XL, a division of AXA, will insure the trial. Meanwhile, Nominet will be testing data transfer between vehicles and consortium partners as part of the development of a robust cyber security model for this technology. This is the first time these innovations will be trialled on London roads.